Jasprit Bumrah came up with a brilliant display with the white-ball on Sunday but his efforts went in vain as Australia clinched a three-wicket win in the 1st T20I of the ongoing two-match series in Visakhapatnam. It started to sink when Glenn Maxwell got out,” Mathew Hayden was morose, almost sighing on air with 2 overs left in the chase. He was absolutely spot on. This Australian batting is an iffy, bumbling, nervy, wobbly unit that can combust at the slightest hint of spark in the opposition. It was telling that they just about managed to cross over because 2 fast bowlers were in the middle, and who showed some common sense and pluck to just about limp over the line off the last ball. What this close-loss would have meant for India, and other teams around the world for that matter, is that you are never ever out of a game when Australians are chasing – keep running in, keep squeezing in the pressure with some dot balls, and let the claustrophobia trigger in a panic. 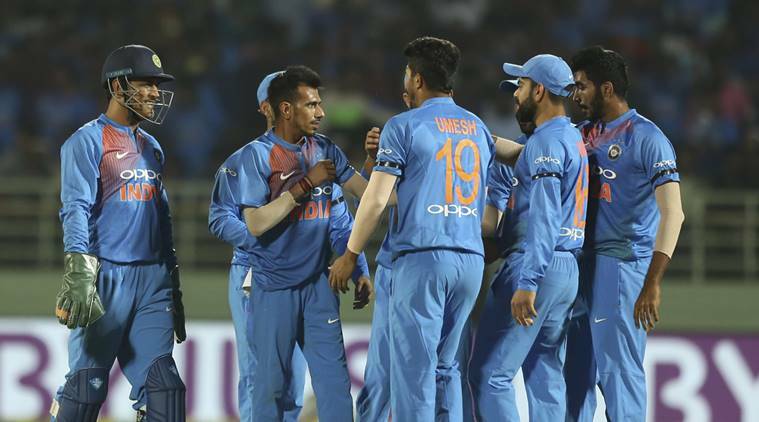 Bumrah picked up three wickets in his four-over quota but Australia gunned down a 127-run total in a last-ball thriller. 14 runs came off the final over of Australia's chase as Umesh Yadav as Australia tail-enders Pat Cummins and Jhye Richardson made handy contributions with the bat. Glenn Maxwell was the start of the evening for Australia as he was in imperious hitting form. The Australia batsman launched a counterattack after Australia lost opener Marcus Stoinis and captain Aaron Finch for 1 and 0, respectively inside the first 2 overs of their innings. India got off to the best possible start with twin strikes inside the first two overs but Maxwell made sure Australia never felt the pressure by keeping the scoreboard ticking.